How are Gift Certificate purchases fulfilled? Customers can redeem Gift Certificates at the time of checkout. 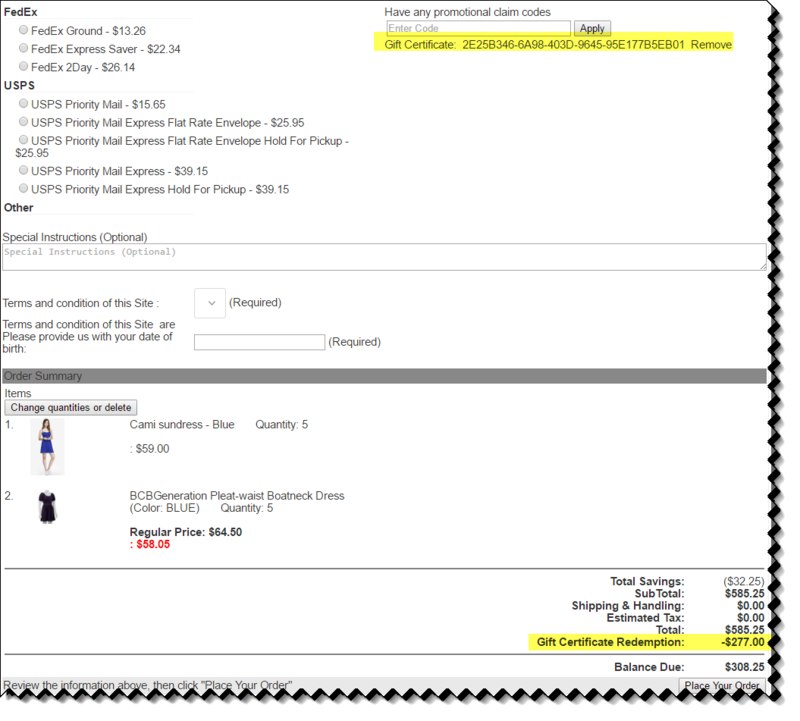 Recipients of Gift Certificates need to paste their gift certificate code in the Have any promotional claim codes field and click Apply. The payable amount for the Sales Order will automatically be decreased by the value of the Gift Certificate. Note: The Gift Certificate can be redeemed multiple times until the date of expiry, or until the entire Gift Certificate amount has been exhausted.